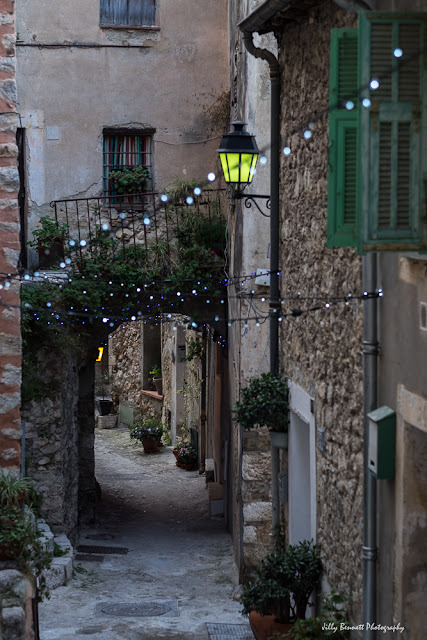 Gorbio village is looking so pretty with its delicate lighting for Christmas. Le village de Gorbio est si joli avec ses délicats éclairages de Noël. Very pretty! This is my idea of how it should be done.